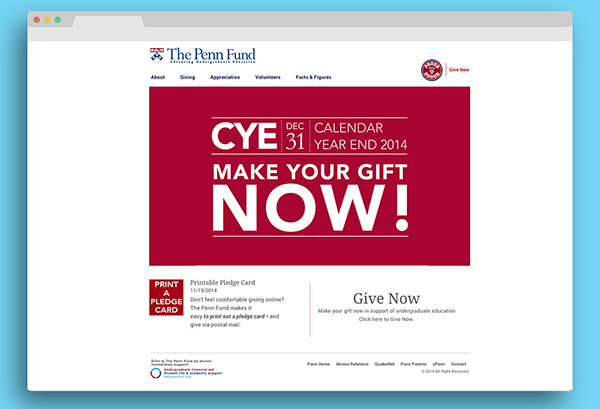 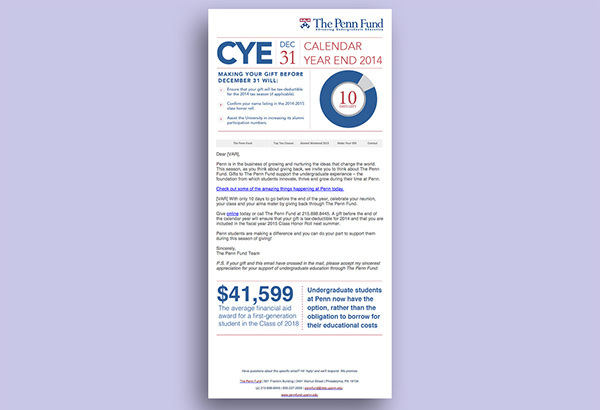 Branding and project management of integrated marketing campaign, Calendar Year End (CYE), with accurate demographic segmentation, and Penn Alumni designation. 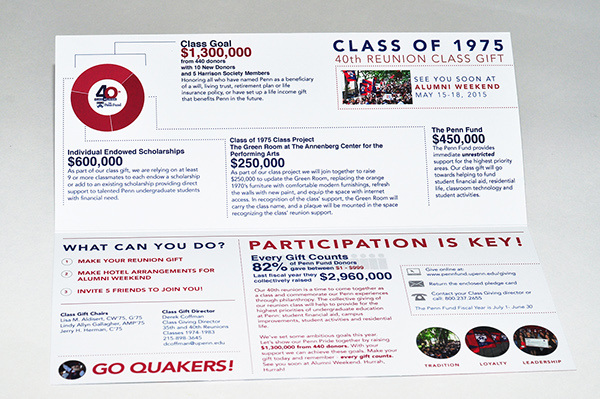 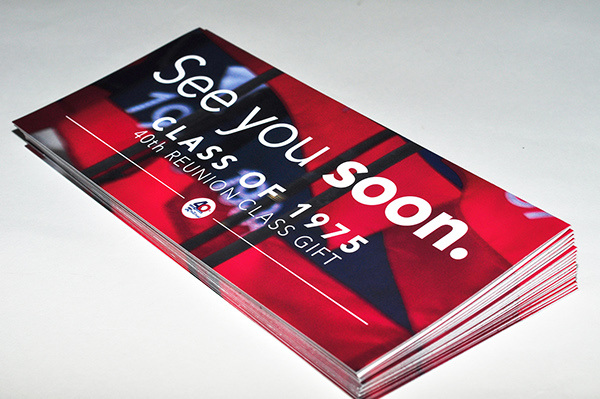 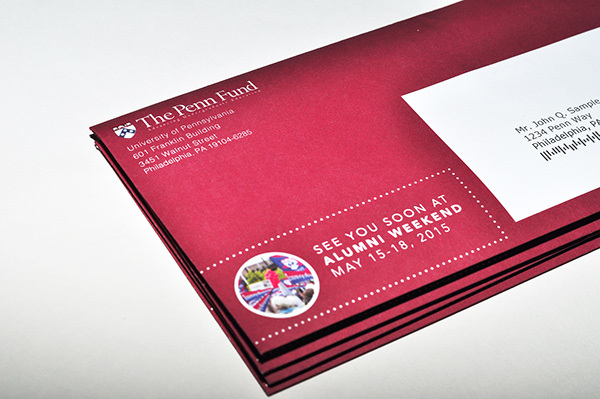 Campaign included direct mail pieces, digital design, email / e-blasts, mobile and social media. 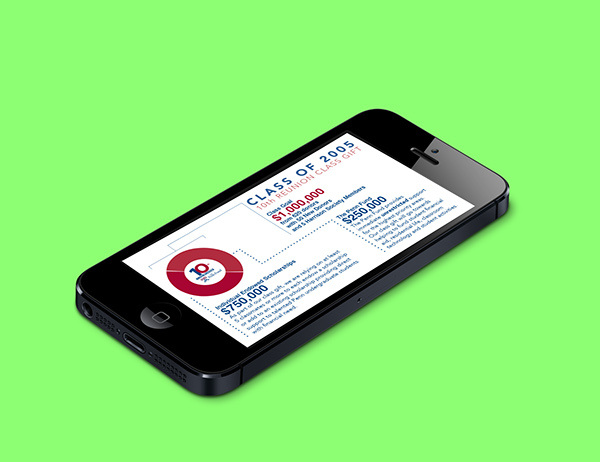 Total reach: 100,000.